Babies don't come with manuals, but doulas do. Doulas help us understand normal newborn behavior and bring a wealth of knowledge into the home as they work with your new or growing family. It's like having a baby encyclopedia by your side as you grow as a mom. Babies don't come with manuals, but doulas do. In this article, please read about some of the normal things you will see in your newborn. Since the moment he is born a baby has a natural ability to react and to try to make us understand what he wants. He always tries to explain to us what he needs and requires for his comfort. Each baby is different and their reactions unique, we can talk to several parents, and doctors and all of them can tell that the baby is an individual that has its own trends and personality. But, has all behavior we can then quantify and study the common trends in all that we can observe. There are six main compartments where we can place the behaviors that we observe in newborn babies. They are Deep Sleep, Light Sleep, Drowsy, Alert and Active and Alert. This classification may vary inside the literature and may be reduced to only three but in this article we will assume the total of six. Let’s see in more detail each one of these behaviors. We can talk about deep sleep when the baby’s eyes are closed, in this state we will see no eye movement, the breathing is regular, and we can occasionally observe startle (Prechtl, 1974). In the second behavior is the light sleep, this kind of sleep is characterized by the well-known Rapid eye Movement (REM) Sleep, in this stage the eyes of the baby will be closed, but briefly open. The baby will move in this stage and also may mumble (Bowers, 2014). The third stage is the Drowsy state where the baby will have the eyes open, but the moments will the smooth and relaxed. In the alert stage, the baby will have his eyes wide-open, and he will be focusing his attention and hardly moving (Bowers, 2014). The last stage will be active and alert, in this stage the baby will also have his eyes wide-open and moving around, in this stage he can also cry and startle. In the literature, as mentioned before, we can see only three stages, usually they assume deep sleep and light sleep as one behavior, and also Alert and active and alert as another, reducing the number of characteristics (Bowers, 2014). All behaviors that the baby can present and all his activities will be done inside a certain state and a certain moment. He should be receptive for that behavior so that he can perform an action, eating, crying, holding your hand and so on and so forth. It is the parents “job” to interpreted and recognize the patterns on the baby’s daily behavior. Soon they will be able to understand his needs and desires, what he needs and wants at that moment (Prechtl, 1974). This understanding benefits your baby in many ways, when you finally understand him you will be able to help him relax. This is because the time of your response will be quick and you won’t be trying to find what he needs by trial and error. This leads to the decease on his stress levels this also benefits the parents because you will feel better and more organized, being more attentive and calmer near him, helping him to control his emotions. Prechtl, H. (1974). The behavioral states of the newborn infant (a review). Brain Research, 76(2), 185--212. Labels: Babies don't come with manuals, but doulas do. About a Boy on NBC, Fiona becomes a doula! A few days ago one of the doulas sent me a text message, "Hey Aliza, make sure to DVR the Minnie Driver show on NBC, About a Boy. The new season starts tomorrow and a little birdy told me that the main character is training to be a doula!" I was so curious to see how they were going to portray doulas, so I DVRed it and got to watch it this morning. Marcus: Cut my umbilical cord so I can hug Will! Fiona: Don't get judgmental, we are simply reenacting Marcus's birth. Fiona: Marcus is helping me stir up my personal birthing memories ot help me with my training to become a doula. Will: What is a doula?? Fiona: Of course you don't know what a doula is. A doula is a magical person who helps restore the faith and dignity of birth that the medical establishment has frankly destroyed. Marcus: Would it be okay if Will cut my umbilical cord as a symbolic way of showing our mutual independence? The scene's use of the rebozos instantly reminded me of the wonderful Gena Kirby's trainings for use of the rebozo during childbirth and although I have no insider information and I am only guessing here but I am imagining that her work must of influenced the director. Although I wouldn't say Fiona's description of a birth doula was 100% accurate, I believe it was a good step forward for the term "doula" to become a more household word. I have had so many clients come to me for their second pregnancy saying, "I so badly wish I knew that doulas existed before having my first! I only first heard about doulas AFTER my first. I am so glad I found you!" One of the missions of Main Line Doulas is providing education and awareness about what birth and postpartum doulas do here in Philadelphia, so that more woman who could benefit from the service know that it exists. 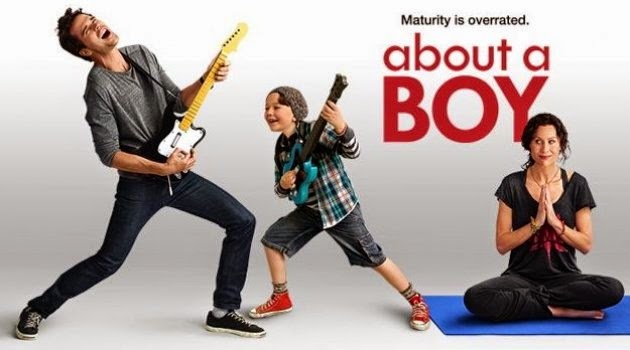 So thanks About a Boy for helping us make "DOULA" a household word!! 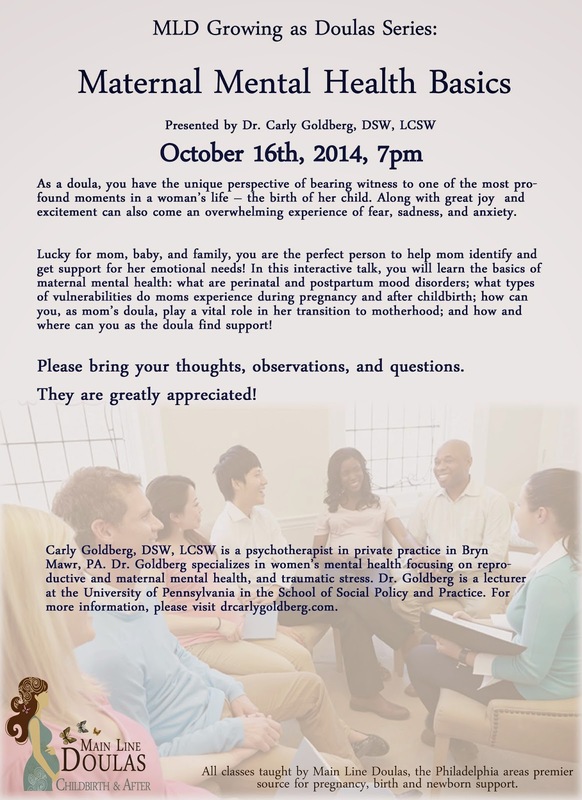 Join us the at Haverford Area YMCA this morning to learn Comfort Measures for Childbirth at 11:45am! FREE to Members! We are looking forward to tonight's Baby Basics Class at Lulu's Casita in Ardmore! See everyone soon! !